“Angelica Church Archive. 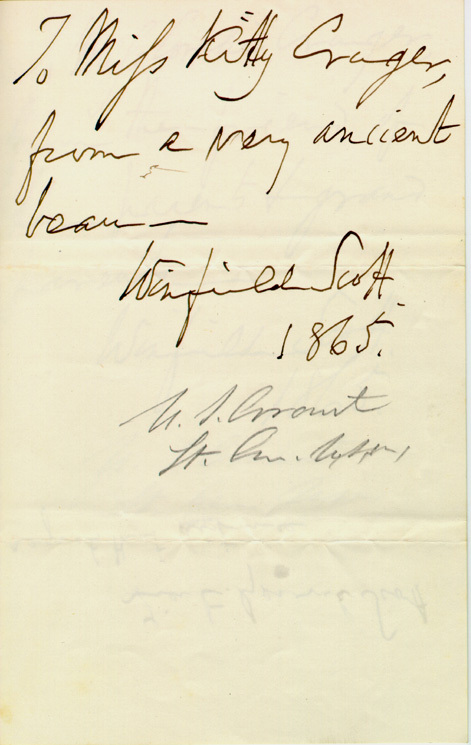 From Winfield Scott to Cornelia Cruger. 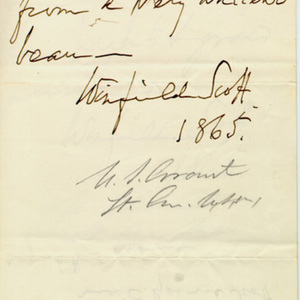 1865, p.2,” University of Virginia Library Online Exhibits, accessed April 23, 2019, https://explore.lib.virginia.edu/items/show/5643.